LinkedIn has an insightful infographic about creating compelling company updates to keep your audience engaged. Unfortunately, many small businesses and solopreneurs do not take full advantage of LinkedIn to generate B2B leads for their business. First, you must have an optimized LinkedIn company page. It includes the basic information like your logo, description, link to your website, cover image and a few other small informational details. You don’t want your page to be abandoned, some people might see it as a sign that you’re not in business. Second, just like Twitter and Facebook, LinkedIn company updates require frequent updates with various content – articles, images, videos, questions, etc. Keep it on topic, and don’t be too self-promotional. Yes, you can promote your services or products on your company page but keep it to the minimum. Frankly, nobody cares but you. This is where the following infographic by LinkedIn becomes very useful, and will help you create effective company updates. Third, if you are sharing gated resources (an ebook behind a form on a landing page, for example) you must ensure that what you’re telling users in your company update matches your message on your landing page. In a recent post on my blog, I dissected SmartFocus’ campaign that was driving traffic with company updates to a landing page to download an ebook but the way they’ve done it was completely ineffective and they were wasting their budget. In a nutshell, the value proposition offered in the company update did not accurately match the content on the landing page. Their landing page was an abomination, to put it mildly. 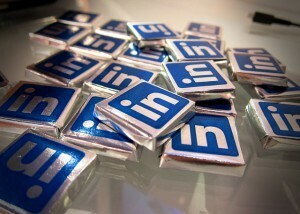 Are you actively using LinkedIn company updates to engage followers and other LinkedIn users? Why not? Share in the comments below the infographic. Share important stats from this infographic with your followers with 2 clicks. 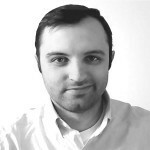 As an inbound marketer, Viktor loves working with small businesses. He has created the Inbound Method strategy framework for creating an effective inbound marketing strategy. As a Business Guardian he works directly with businesses giving them practical, focused and actionable marketing advice. Break the ice, start the discussion! Want To Run a Thriving Service Business? Of course you do! Sign up to receive FREE valuable insights that will help you create sustainable, profitable growth for your service business. ProjectArmy helps small service businesses thrive. We provide effective inbound marketing solutions tailored to small service businesses with an intimate, personalized approach, education and marketing guidance. © 2018 Viktorix Innovative, LLC.